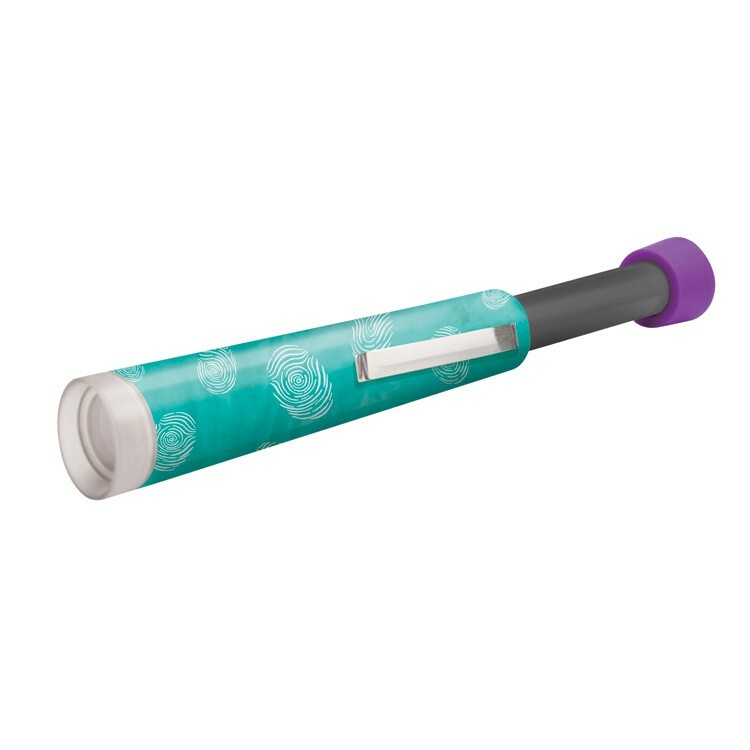 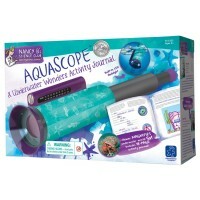 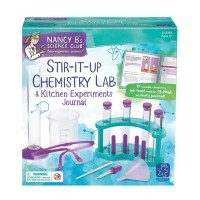 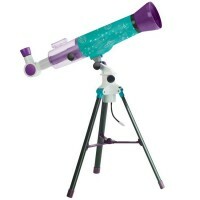 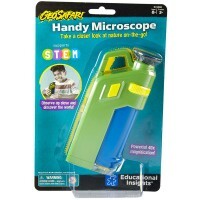 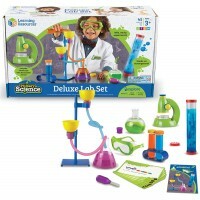 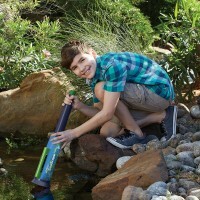 2-in-1 microscope and telescope plus activity journal complete this kids forensic science kit. 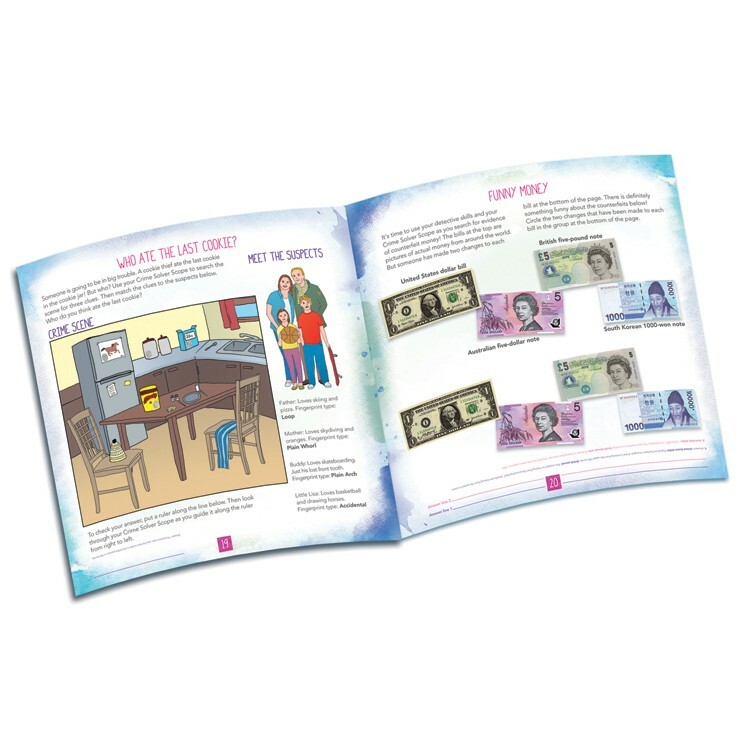 Secret service agents to the mission! Crime Solver Scope & Forensic Activity Journal Science Kit is a great gift for young sleuths! 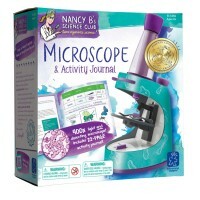 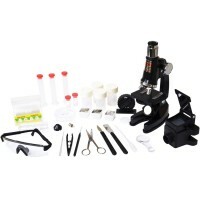 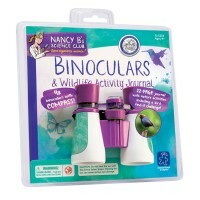 This forensic science kit from Educational Insights' Nancy B's Science Club toy series features 2-in-1 investigating tool: 15x kids microscope that transforms into the 5x telescope that allows sleuthing from various distances. 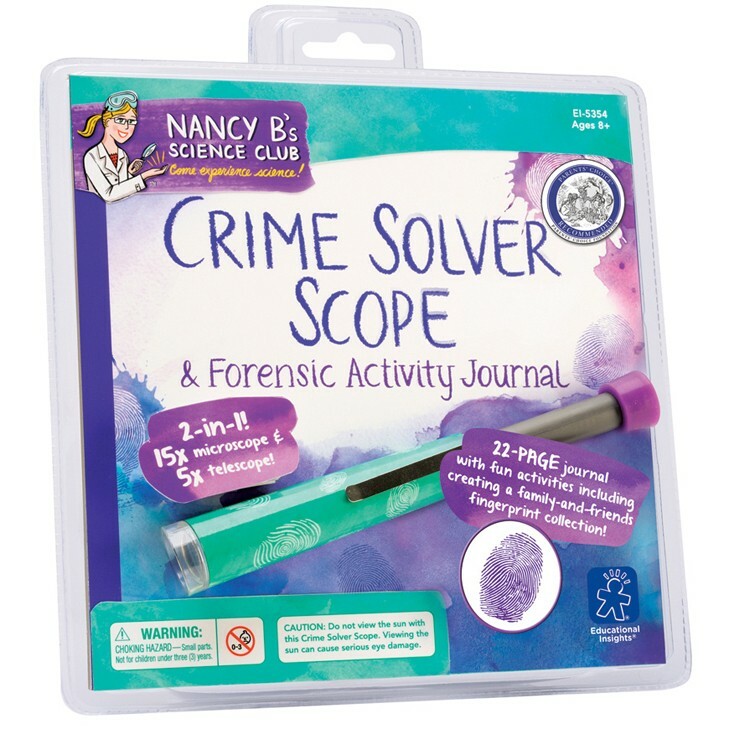 This detective kit comes complete with 22-pages crime activity journal with tons of fun tasks for the young crime investigators. 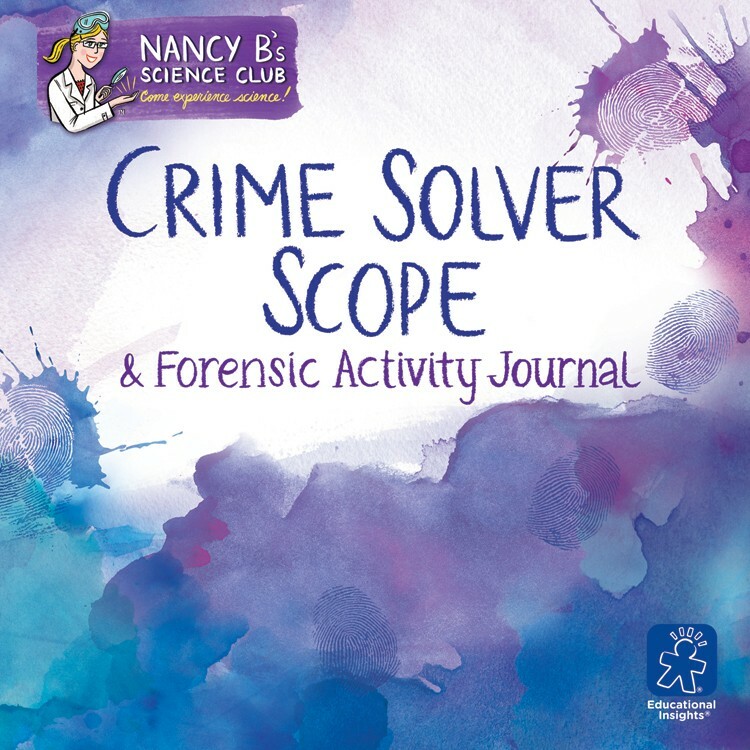 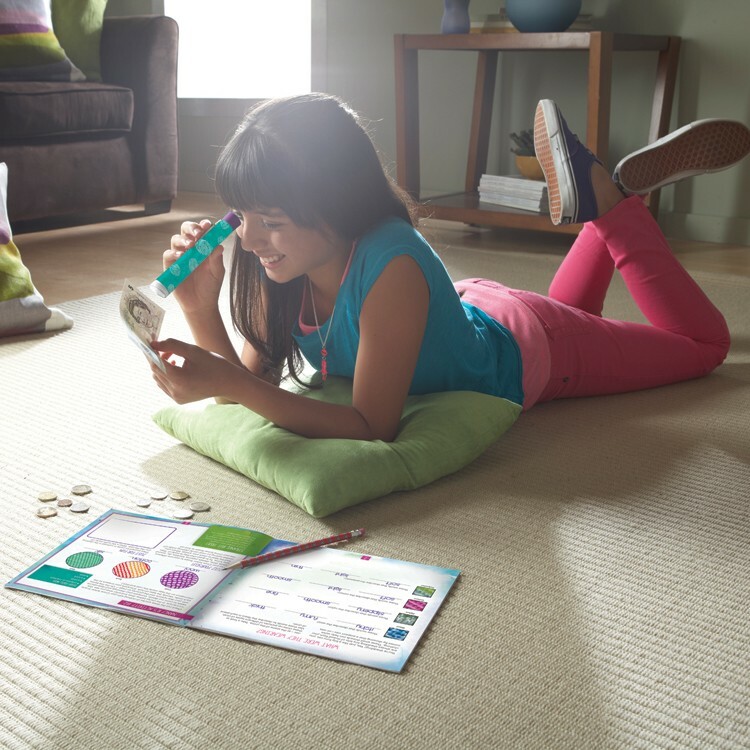 From identifying counterfeit money to investigating the left-over crumbs, the Crime Solver Scope & Forensic Activity Journal Science Kit will keep your young detective busy. 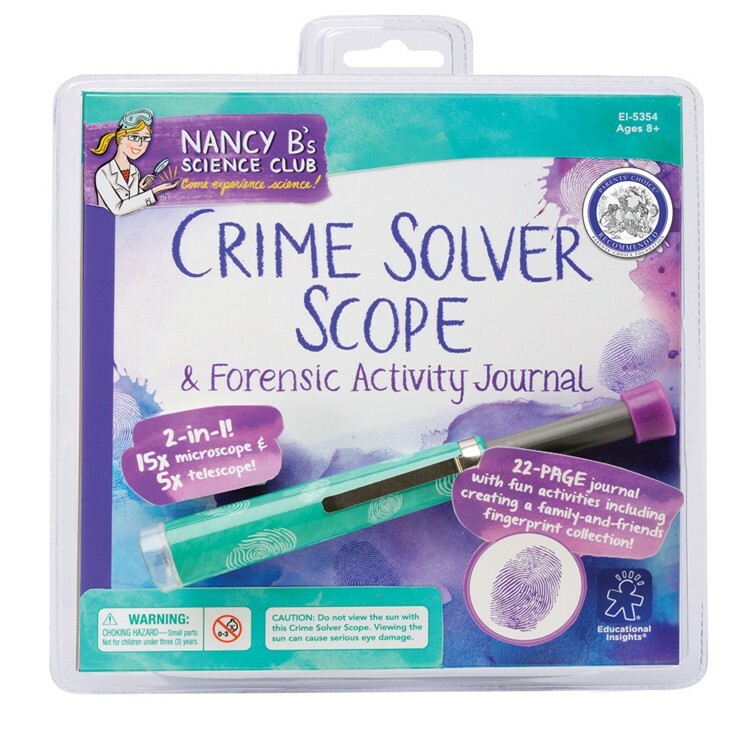 With this forensic science toy kids can even make their siblings' or friends' fingerprint collection! 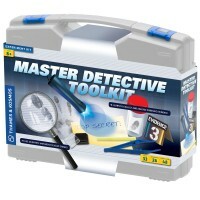 The award-winning kids detective set will make your young agent observe, collect data, draw, make conclusions, write creative notes, and more! 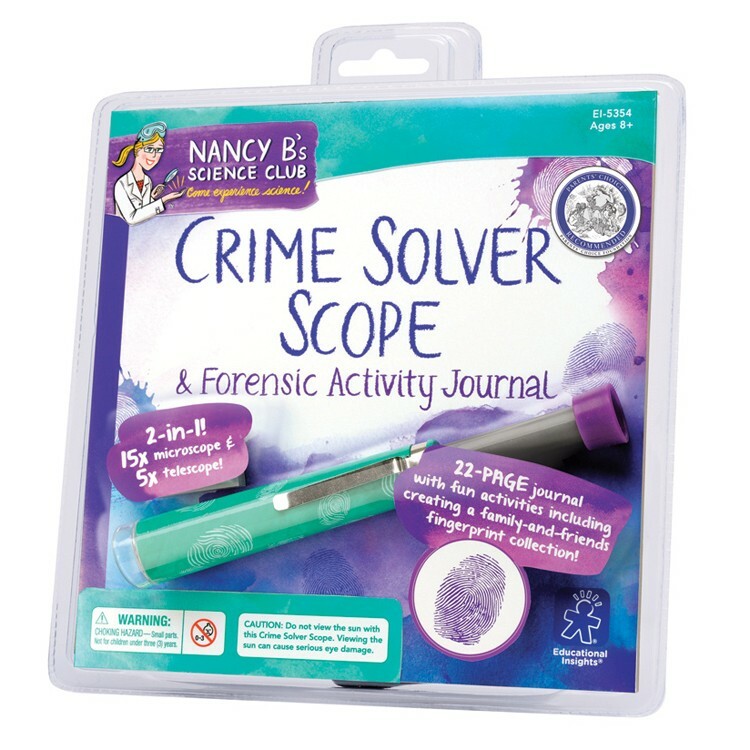 Dimensions of package 9.2" x 10.5" x 3"
Write your own review of Crime Solver Scope & Forensic Activity Journal Science Kit.